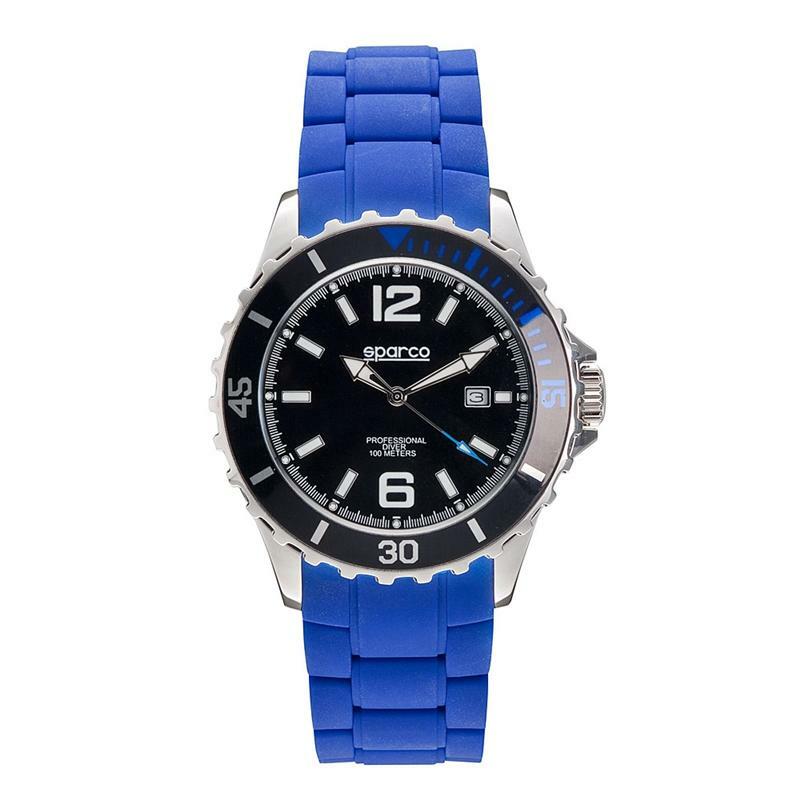 The stylish Sparco Pro watch combines form and function to go from track to the streets effortlessly. It features a Quartz Citizen – Miyota movement encased in polished steel and mineral crystal. 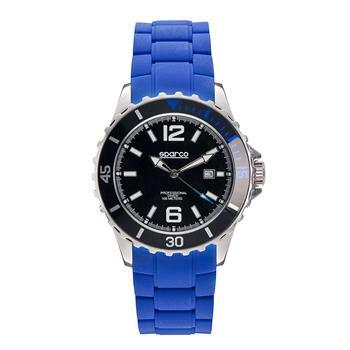 Waterproof to 100 meters, this watch is available with either a black, blue or red band.